By Thoriq Firdaus in Blogging. Updated on April 11, 2018 . We have many options for blogging such as WordPress, Blogger, Tumblr, and Medium to name a few. But what if I say if you can actually blog with Evernote. Aside from being the most popular note-taking app, Evernote also provides an open API that allows developers to build an app surrounding its data and functionalities. This is where Postach comes in. It utilizes the API to build a blogging platform. Let’s see how it is done. First, Postach needs to connect to your Evernote account. To set this up, click the Sign in button. It will redirect you to the Evernote Sign-in form. Once you signed in, Evernote will show the Application Authorization page, where you can evaluate Postach before giving it access to your account. Click the Authorize button to proceed. Then, you can create the first website. Fill out the form; your full name, email, the website name, and the URL. 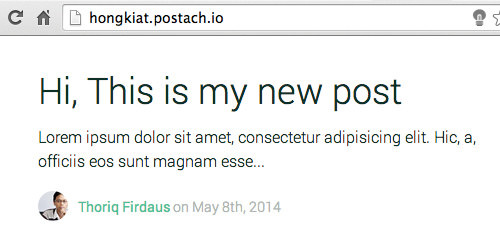 The URL currently is a subdomain under postach.io. We can set the website with our domain name once it has been created. For now, click the Create Site button to create the website. 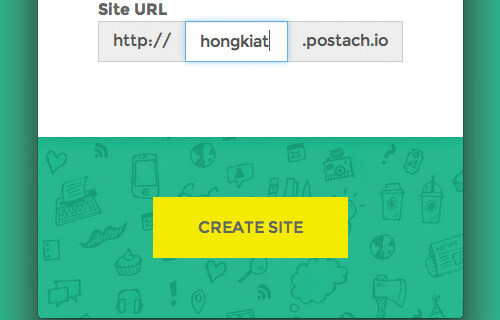 The website can be accessed immediately at the subdomain that you have set, for instance: hongkiat.postach.io. Postach will automatically create a new Notebook with the name derived from the website name. We use this Notebook to write new notes and publish them to the blog. You can also pick another Notebook. To do so, head over to the website setting page then select the Notebook you want from the Notebook option, as shown below. Writing and publishing the content is as simple as writing a new Note. Assuming that you have written content in the Note, tag the Note with published, save the Note and click the Sync icon. Your new content should appear in your blog within a few seconds. 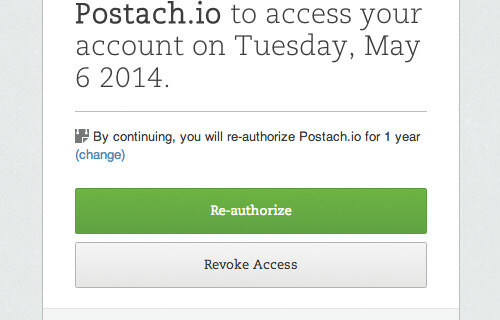 If you use Evernote regularly, Postach could be a great alternative for your blogging platform. You don’t have to deal with complicated installation processes and database setups. You also don’t need to register yet another new account. You can write your post in Evernote and it will be published on your blog almost instantly.